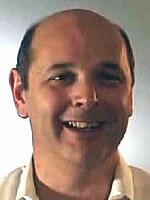 David Adair is a rocket scientist and a UFO researcher. In the past, he has worked for NASA. Nowadays, David Adair is the president of Intersect, Inc., which is a space technology consulting agency. He claims to have had 'extraordinary experiences at Area 51,' where he would have met aliens and seen their crafts. From a bio on the Internet: In his book, 'America's fall from Space,' David Adair tells the story of the U.S. space program through the eyes of a child prodigy turned top rocket scientist. Building his first rocket at the age of 11, David soon had progressed to the point that he was drawing attention to his exploits by people such as General Curtis LeMay and Werner Von Braun. His complicated mathematical formulas found their way to the eminent scientist, Dr. Stephen Hawking, who at that time had just received his Ph.D. in Theoretical Astrophysics and was at the beginning of his own career. When they met and David was asked for the source of his formulas, he sheepishly replied that many came to him in dreams. To that Stephen Hawking replied, "I get a lot of my ideas through dreams also. We dream on the same wavelength; therefore, that makes us brothers." David Adair is an internationally recognized expert in space technology spinoff applications for industry and commercial use. At age 11 he built his first of hundreds of rockets which he designed and test flew. At 17 he won "The Most Outstanding in the Field of Engineering Sciences" from the US Air Force. At 19 he designed and fabricated a state-of-the-art mechanical system for changing jet turbine engines for the US Navy that set world record turnaround times that still stand today. His presentations include little known facts and anecdotes from his involvement with the space program, commercial technology development, films and "the things he has seen" at Area 51.